In the United Kingdom, the ACAS Code of Practice declares that providing every individual with an equal opportunity to appeal against a disciplinary decision is necessary to “natural justice“. Whether you are an employer or employee, therefore, understanding the appeal process will present you in a good light in front of the tribunal. One of the most essential aspects of the process is to know how to write an appeal letter, especially in cases related to unfair dismissal. Furthermore, the appeal letter also covers appeals against a dismissal, a disciplinary decision, a redundancy and all other discriminatory decisions against an individual. 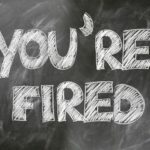 Let us take a look at the various attributes of an unfair dismissal appeal letter and how to compose a draft that works. What Types Of Disciplinary Actions Might An Employee Appeal Against? It is a good idea for employers to include a detailed grievance procedure, which outlines the employee grievance redressal process. Otherwise, employers may follow the guidelines from the ACAS Code of Practice (except in cases of non-renewal of fixed-term contracts, once they expire and redundancy, wherein the Code does not apply). 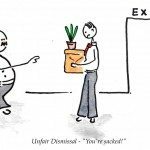 How Can An Employee Appeal Against An Employer’s Decision? As an employee, you must first refer to the employer’s handbook provided to you at the time of joining and follow the grievance procedure listed under it. In case, such a procedure does not exist or fails to address your grievance, you can follow the ACAS Code of Practice (except in cases of non-renewal of fixed-term contracts, once they expire and redundancy, wherein the Code does not apply). Thereafter, you need to write a formal letter of appeal. Such a letter covers appeals against an unfair dismissal, a disciplinary decision, or a redundancy among other decisions. incorrect reasons and unfair selection grounds (in the case of redundancy). What Can You Appeal Against? As an employee, you can also present new evidence against the carrying out of the disciplinary action. 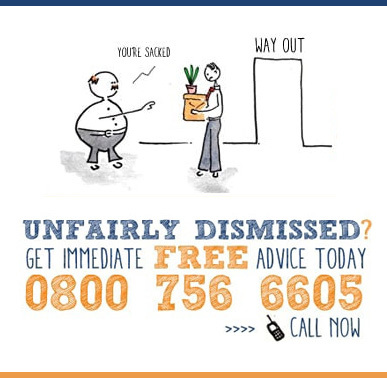 What Types Of Decisions Can You Appeal Using an Unfair Dismissal Appeal Letter? 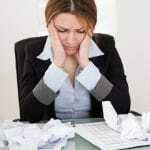 An unfair dismissal appeal letter is a powerful tool in your hands if you use it judiciously. For instance, if you suffer discrimination at your workplace and your employer decides to punish you, instead of thoroughly investigating the incident, or you are dismissed unfairly, you can challenge the disciplinary decision taken by your employer. All you have to do is make sure that your appeal letter helps you set out the grounds of your appeal like new evidence, incorrect evidence, unfair selection grounds, problems with the decision process, and incorrect reasons for quoting redundancy. You can also choose who can accompany you at the appeal hearing. Always ensure that your letter is written in a clear and concise manner and bullets points all the issues you wish to raise in the appeal.